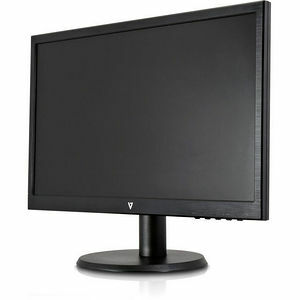 The sleek 21.5" monitor from V7 is a stunning display and features a slim, stylish bezel design. The display delivers crisp life-like images, and provides 16.7 million colors for rich and vibrant visuals. With Full HD 1920 x 1080 resolution, the intense colors and integrated speakers, this display provides an enhanced multimedia experience for professional use or for leisure. Additionally, the display is VESA 75x75mm mountable to optimize your workspace, and it features a Kensington security lock slot, plus it's backed by a 3 year manufacturer's warranty.